Guess Who Was Adopted Last Month! This month we had some pretty exciting adoptions this month that are definitely worth mentioning! Gondor, a bright eyed, happy smiley boy entered Pasco County Animal Services for the first time on July 30, 2014. Who would have thought that one year later, he would still be waiting at the shelter for somebody to adopt him? Thankfully on his one year anniversary at PCAS, his wait came to an end. We have received many updates from his new family and Gondor is a spoiled boy :). If you want to continue to follow Gondor’s journey, his new family started him his own instagram account under gondorthegreat! Charlotte was another of our long term residents that found a family to call her own last month. She came to us on February 4, 2015. For close to seven months, she stared out through the bars of her cage with hopeful eyes, praying that she would find a home where she could relax and be loved. On July 30, her prayers were finally answered. We will miss her sweet little face out here at the shelter but we are so happy that she has found a home! Happy Tails little girl! Wonderful, loving pets like Gondor and Charlotte may not have been given the time and the chance to find loving homes just a few short years ago. Without caring staff and dedicated volunteers, we wouldn’t have success stories like these. PCAS has come a long way and we are still improving every day! She is most definitely a rising star! There are a few new faces around PCAS nowadays! Meet Gina. Gina has worked in veterinary services for years and was excited for the new challenges and rewards associated with the shelter environment. What she enjoys most about the shelter is the sense of fulfillment associated with caring for and adopting out homeless animals. One of the projects she envisions for the shelter is a grooming day where volunteers can come out and give the dogs a much needed bath. She is looking forward to meeting all of our volunteers! Welcome to PCAS, Gina! We are excited to have you. Morgan Reeves may not be new to Pasco County Animal Services, but her role as Adoption Coordinator is new. She is definitely an animal lover! She has 6 horses and 2 goats. She also has 2 rescue dogs and 4 rescue cats of her own, but she is always stepping up to foster sick or bottle fed kittens and just about every special needs dog that comes through the shelter door. In her spare time, she trains horses and gives riding lessons. PCAS is very lucky to have her. 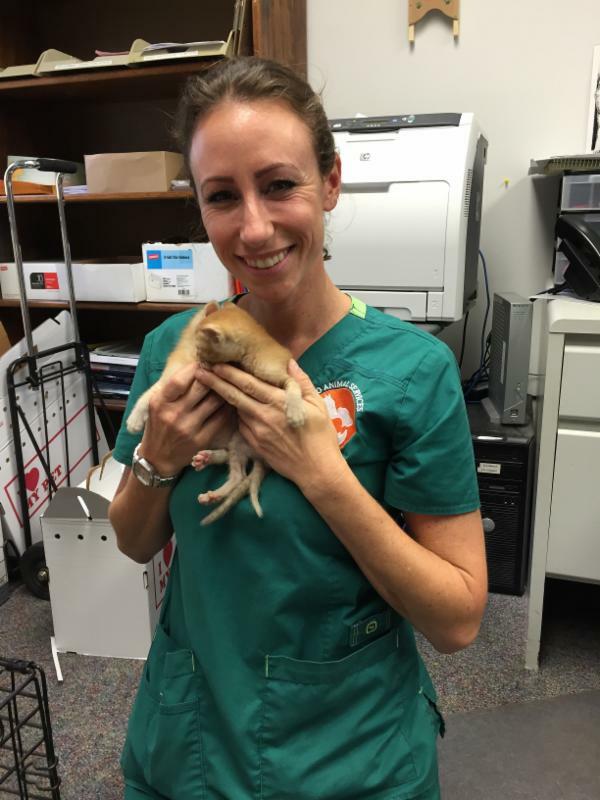 Morgan fell in love with shelter medicine during her internship at Hillsborough County Animal Services. She brings to the table many hours of continuing education in animal behavior, nutrition, and management. Morgan brings some great experience to this position and so far is doing an excellent job! The wagon is on the road again this month! We started the month at Home Depot in Zephyrhills. This is always one of our favorite places to go. The store is always busy and it allows us to get the word out about all of the things that PCAS is doing to save the animals. Expect to see us parked in their parking lot the first Tuesday of every month. We are heading out to Trinity for Yappy Hour August 12th at Fiddlers Green. This is our first time going out to this event and we are very excited. Make sure you mark your calendars, it’s going to be so much fun! We are really putting the miles on the bus this month! On August 23rd, Petco is having a fundraiser to benefit Pasco County Animal Services. We are bringing adoptable cats and dogs. It will be a great time! On August 26th, the Landing of St. Andrews has invited us out for the second year in a row for their annual pet event. Last year they had a really cute pet parade! We can’t wait to see what they have in store this year! We are ending the month right back here at the shelter for our “Back to School” FREE adoption event on Saturday, August 29th from 12-4. We are hoping to find a lot of fur-ever homes, so come out and see us! If you were unable to make it out to a June event, keep your eyes open for us next month! These events are ALWAYS a lot of fun and our Pasco Pets are ALWAYS happy to see you. Hope to see you soon! All times and addresses for above events are listed on Tail Wagon flyer posted above. Why take a risk? Micro-chip your pet! PCAS is over-stocked with some of Pasco’s finest pets. Because we want all of you to treat your selves to a new loving and appreciative member of your family, we are offering you a reduced rate on adoptions. The shelter’s normal dog adoption fee is $70 and $40 for cats. This includes spay/ neuter, microchip, vaccines, and your new best friend. Because all of you students out there deserve your very own study buddy, we are offering you FREE dog adoption fees on the 29th. Please come out and take advantage of the this special offer. The love that these animals want to give to their own forever families is priceless and you can’t put a price tag on saving a life. Please open your heart to one of our dogs or cats in need this month. 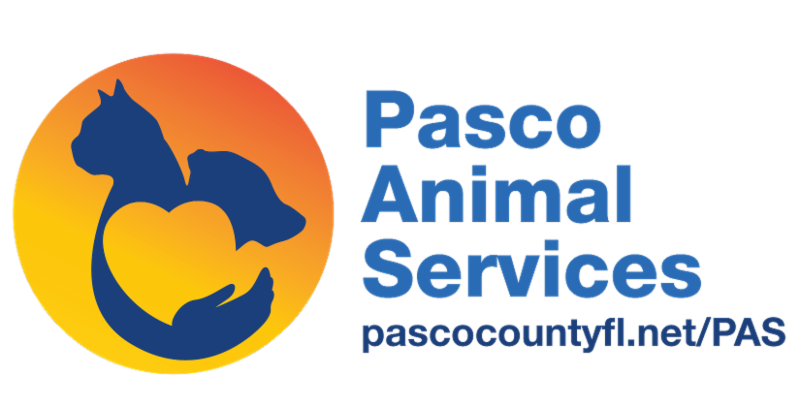 The Pasco County Animal Services Division is dedicated to promoting and protecting the health, safety, and welfare of animals and people in our community by encouraging responsible pet ownership through education, legislation, and by providing incentives to sterilize pets.. The Pasco County Animal Services Adoption Center is located at 19640 Dogpatch Lane, Land O’ Lakes, FL, and is open from 12:00 p.m.-6:30 p.m., Tuesday through Saturday. For additional information, or volunteer opportunities, please visit the Pasco County Animal Services Division website at http://www.pascocountyfl.net/PAS, or contact them by phone at (813) 929-1212, (352) 521-5194, or (727) 834-3216. This month, treat yourself to a new best friend at PCAS! Tyson, A23790135, is a three year old hound mix. This happy boy would be perfect for a family without kids. Come meet him today! Donald, A27778496, is a five year old terrier mix. He loves toys and cannot wait to bring you his favorite ball. He is a gentle boy and would love a fresh start. Ray Ray, A28596069, is an adult domestic shorthair mix. She came into the shelter with a litter of six kittens, all of which have been adopted. Will you come give this mamma the second chance she deserves? Scotty, A28053790, is an adult domestic short hair mix. This handsome guy is really sweet and loves attention. Come meet him today! DON’T FORGET ABOUT $5 FELINE FRIDAY. IT’S EVERYFRIDAY AT PCAS! PCAS is very lucky to have so many dedicated volunteers. 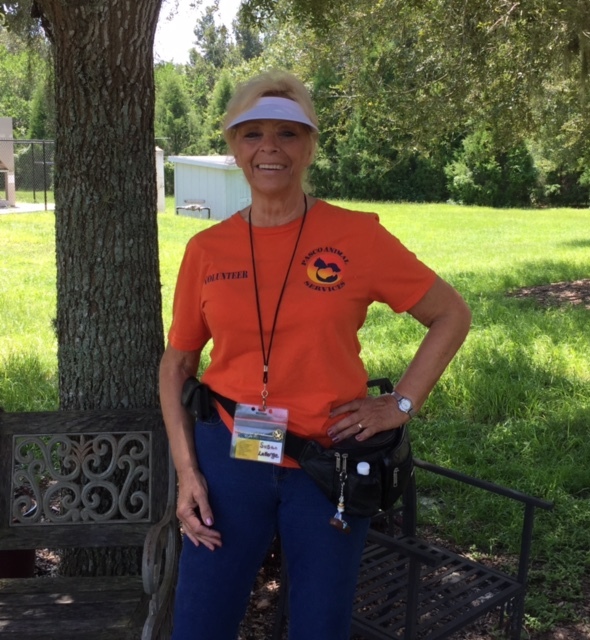 This month we decided to shine our spotlight on one of our longest term volunteers, Susan Laberge. Susan began her journey as a PCAS volunteer in Fall of 2011. She was about to retire and wanted something worthwhile to do with her spare time. She started coming in on Saturdays, walking dogs, helping out with events and spending time with the kitties. Once retired, it became her sanctuary and she came out often. She has witnessed all of the efforts and improvements that have been made by the shelter. “I have seen this Center grow and change into a loving place that is filled with a wonderful staff of people who truly care about giving these animals a second chance. The Center is the best it’s ever been thanks to those who have chosen this as a career and because of other Volunteers who give of themselves and work towards a brighter future for the beautiful creatures who we have an opportunity to provide a better place for the rest of their lives. Hopefully I will be able to do this for a long time to come”. I don’t know what we would do without her. She has a passion for animals and a big soft spot for our cats. Susan is committed to coming in just about every Thursday and Saturday. She plays with the cats and helps with the dirty work, such as, cleaning She not only teaches the cat socialization class to our new volunteers, she put together the whole program. Although Susan spends most of her time with the kitty cats, she doesn’t forget about the dogs. She likes to walks the dogs in the small dog room and doesn’t leave until all dogs in adoptions get their treat. She also is a big help with our new post-adoption program. In addition to volunteering at the shelter, Susan also sings and performs as part of a singing duo, Kaleidoscope. Kaleidoscope was our opening act at this year’s shelter fundraising event, WoofStock and so much fun to watch! We appreciated everything she does for the cats and dogs at the shelter and are very fortunate to have her support and dedication. If you are interested in helping Susan with the cat socialization classes, please go to pascocountyfl.net/PAS to fill out a volunteer application. We have volunteers 16 years old and up. The shelter always needs the help of caring, reliable animal lovers. From photography, dog walking, and cat socialization to helping with offsite and onsite events, there is something for everybody. If you are thinking about volunteering, please visit www.pascocountyfl.net/PAS to fill out an application. We have so many dogs and cats needing your help, what are you waiting for? 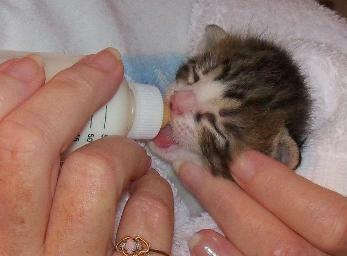 The shelter depends on the generosity and support of Pasco County. 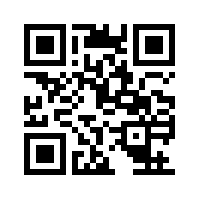 If you would like to donate please click on the link below or go to: http://fpcas.org. Dog toys- Kongs XL extreme and classic. Sunny, A251738, is a five year old pointer mix. This cutie is such a sweet boy! If you’re looking for a dog with a gentle soul, Sunny is your man! I am a FOREVER dog, NOT an “until dog”. I am NOT an “until you get bored with me” dog. I am NOT an ”until you find a girlfriend” dog. I am NOT an “until you have a baby” dog. I am NOT an “until you have to move” dog. I am NOT an “until you have no time” dog. I am NOT an “until I get old” dog. IF YOU CAN’T GIVE ME FOREVER, THEN I AM NOT YOUR DOG.